The Society obtained the former A.R. Ketchum and Son feed mill, coal and farm supply building at 14 Sodus Street for use as our Mill Museum on December 20, 1977. This was accomplished through the generosity of the Ketchum family. From that time much work has ensued to improve and maintain the building and to develop exhibits in the Mill Museum. 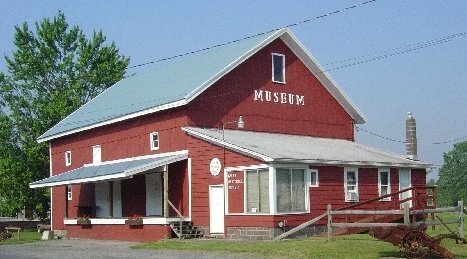 Offered are exhibits of farm and household items. The Sports Hall of Fame also occupies space in the Mill. Click on the above photographs to view the museum interior .